So I know the other site had a similar thread but I thought it would be much more useful to have a 41' race boat list on here. I am by no means an expert on the boats, I just respect the history and want to keep it alive. I have taken what I have read over the years and put it into this list. Consequently, I apologize for any errors. Let me know of any so I can correct them. Please feel to post any and all pictures of the boats (maybe with the corresponding number to keep some order). Also feel free to comment with any extra info/boats I missed and I'll update the list. Thanks! Note: This list is only for 3 and 6 pack race 41's. Known Details: built in 1987 in Kevlar. Powered with C&G 850’s on 18” center, #3 drives. 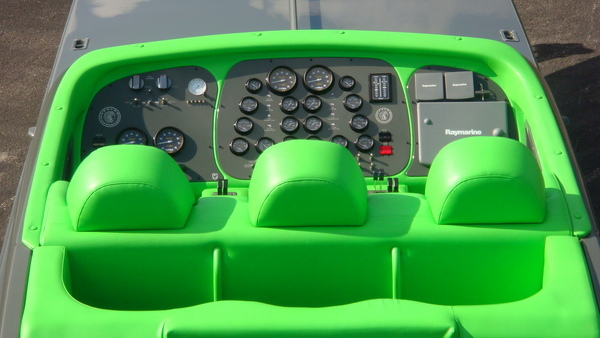 Presented at 1988 NY boat show. 572/900hp motors (when SACRED GROUND). 41st airborne ? Long time ago. War hawk runs 100 or a little more. Great list, nice job Nate. I believe Tsunami was converted from pleasure to race and refit with big Teague power. Last edited by Comanche3Six; 11-18-2012 at 09:51 AM. 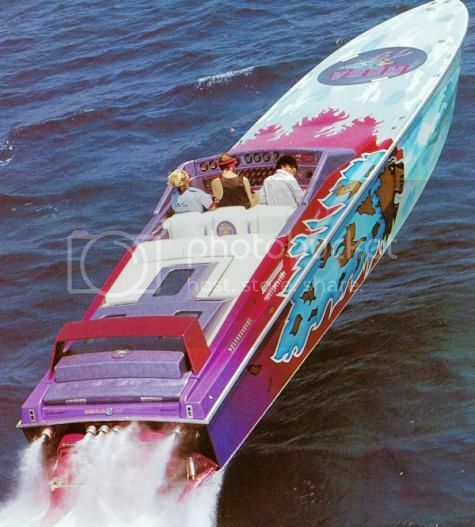 Which boat was the "Still got it" Apache that John Begovich throttled?